Can winless FC Schalke 04 make it a case of sixth time lucky against Borussia Mönchengladbach on Matchday 6? 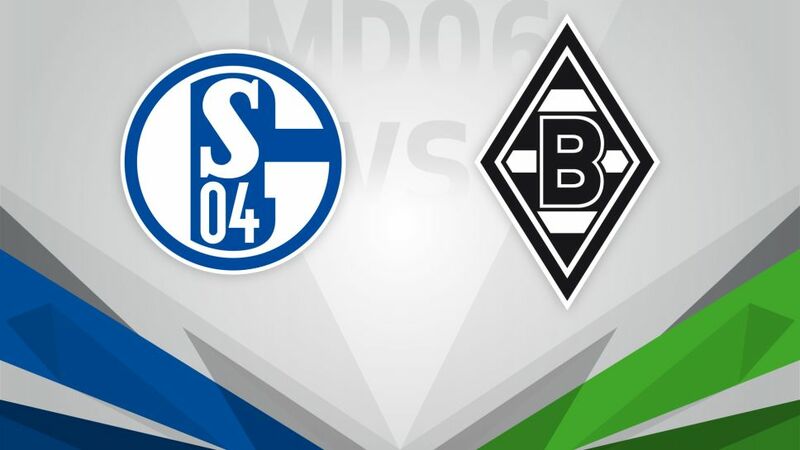 FC Schalke 04 will look to bring an end to a club record five-match losing start to the season when they host Borussia Mönchengladbach on Sunday (kick-off 17:30CEST/15:30GMT). Defeats to Eintracht Frankfurt, FC Bayern München, Hertha Berlin, 1. FC Köln and, most recently, TSG 1899 Hoffenheim have left Schalke languishing at the foot of the pre-Matchday 6 standings, still searching for their first Bundesliga win since Markus Weinzierl took charge. The Royal Blues have conceded at least twice in all but one of their five Bundesliga assignments so far in 2016/17, while their meagre tally of two goals scored represents a joint-league low. Gladbach are well-versed in slow starts after going five matches without a win in 2016/16, prior to the appointment of Andre Schubert as head coach. There have been no such problems for the Foals this time around, though, with three wins, one draw and a defeat to SC Freiburg setting the Rhineland club up nicely for another tilt at the top four. Schubert's Borussia have, however, won only one of their last 13 Bundesliga matches on the road. Schalke are only the tenth team in Bundesliga history to start the season with five defeats.This is the first time that Schalke have lost the first five matches of a season – last season Borussia Mönchengladbach also lost their first five matches of the season.Schalke's Klaas-Jan Huntelaar has only managed one goal in nine matches against Gladbach (on 25 September 2010 in a 2-2 draw).Schubert has won 20 out of his 34 Bundesliga matches, more than the 17 wins than in 1976-77 (17) when Gladbach last won the title.There have been nine 0-0 draws between the two clubs – more than any other pairing in the league.The VELTINS-Arena has always been sold-out for matches between the two clubs.